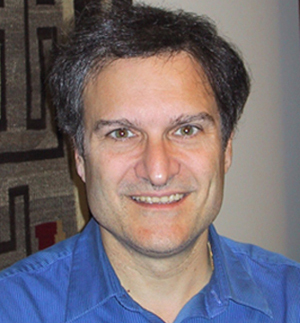 Prof. Gerald Navratil delivered one of five invited review lectures at the annual meeting of the Division of Plasma Physics of the APS (Savannah, November 15–19), the world's largest meeting of plasma physicists. Navratil's review, entitled "Control of External Kink Instability," presented the culmination of more than 10 year's of research that has succeeded to control the most dangerous instabilities of high-pressure magnetic fusion devices using combinations of external conductors, plasma flow, and active feedback. Sustained high-pressure plasma discharges have been demonstrated by research teams lead by Prof. Navratil and include research conducted at Columbia University's HBT-EP tokamak and the world's largest tokamak experiments in Europe and Japan. Benjamin Levitt, who received his Ph.D. in May, was also invited to speak on the "Observation of Centrifugally Driven Interchange Instabilities in a Laboratory Magnetic Dipole" at the APS-DPP Meeting. While a graduate student, Ben induced near-sonic flows in a high-temperature dipole-confined plasma and excited centrifugally-driven interchange instabilities for the first time in the laboratory. He was able to precisely measure the structure of the electrostatic fields, make detail comparisons between observations and nonlinear simulations, and investigate the effects of energetic particles. Centrifugally-driven interchange modes are thought to be the cause of the "planetary wind" emanating from Jupiter's moon Io.